Laying off employees can be a legal challenge in some cases. 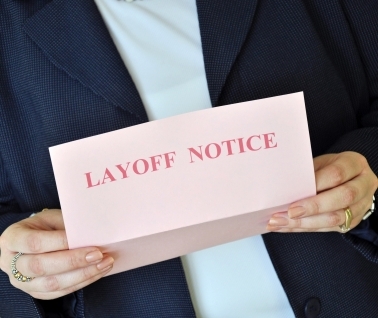 It is important to learn the legal law concerning laying off employees. If an employee is illegally terminated the issue could land in a court of law. Some employees, depending on the situation, are entitled to severance pay and other rights. If done correctly, the employer may not be liable to give an employee this sort of payment at all. When it comes to employment there are federal anti-discrimination laws. An employer must know if terminating employment of anyone violates the laws or general legal standards on that state. Knowing how to legally law off employees can save you from a case where a former employees sues you in a court of law. Check with the EEOC (Equal Employment Opportunity Commission) to increase your knowledge of the current laws and standard practices currently implemented by law as regards termination employees. You can visit an office or you can visit the EEOC online. Log on to the EEOC (Equal Employment Opportunity Commission) website. They have information listed about employment laws in regards to laying employees off. You should retain a business law attorney. Having a lawyer who has your best legal interests in mind can be a saving grace when it comes to being sued over employment. Lawyers are up to date on all laws pertaining to employee termination and can you you the best advice depending on your particular situation. You should retain a competent lawyer through the American Bar Association. Make good use of a probationary period. This could be a protection for the employer if termination is decided upon. Put a probationary period before termination. By law, this probationary period is not to extend beyond 6 months. During this time frame an employer can legally lay off an employee without severance for any reason what so ever. This is a common loophole used by employers when dealing with the prospect of termination. Make sure you give an employee the right of proper notice. Legally, companies must establish a time frame of notice before an employee may be terminated. The notification period varies with each particular situation. There’s an exception to the rule. In cases of extreme negligence and incompetence a layoff is allowed to be conducted immediately. Search the EEOC website for more details. Update and file employee performance records. Anytime the job of an employee is threatened or up for termination, the employer should have a detailed paper trail. Clear documentation along with circumstances and course of action taken should all be recorded. This will serve as your defense in case of being sued in court.